Now that I'm soon done with the Easter holiday photos (only one post left), I'm finally ready to tell you a bit more about my recent trip to Budapest, Hungary. In fact I'm working on my article from this trip this week. It will be published in the Norwegian travel magazine Reis (where my Vinho Verde was published earlier this year). I was there for work with a group of three other Norwegian magazine journalists. Our hosts were Emöke Flakstad (to the left) and Andrea Vándor of the newly established company Bellanor. 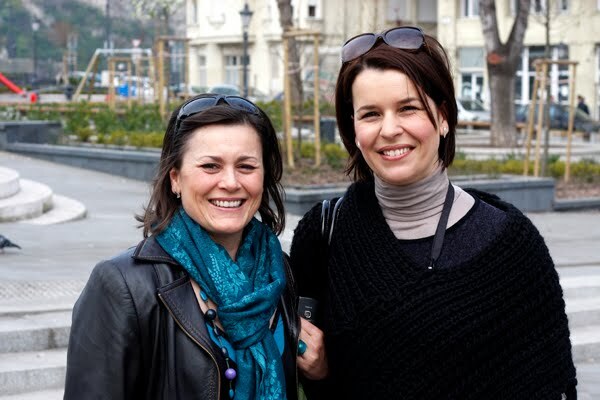 Bellanor is a travel company specializing in beauty and spa travels to Budapest for Scandinavian women. We were invited to Budapest to sample parts of Bellanor's program. According to Budapest.com, Budapest holds the title "City of Spas" since the year 1934, as it has more thermal and medicinal water springs than any other capital city in the world. There are 118 springs in Budapest and 15 public thermal baths. By the way, this is my second visit to Budapest and Hungary. My first visit was with my family in October 1999.